in the biggest tournament of the year? the opposition will not be weak! 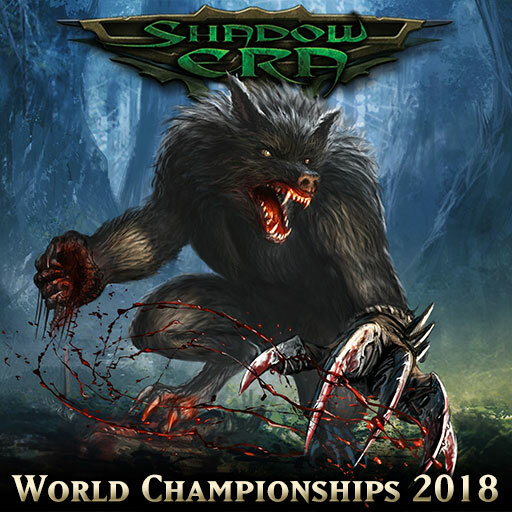 As with previous years, the WC2018 Grand Finals are an invitation-only event, where the best of the best will be assembled to fight it out for the ultimate prize in Shadow Era: World Champion! These will be announced once they have been finalized via SHDW Token Holder voting. Further details will be added as they are confirmed. Feel free to ask questions below to help us help you. Last edited by Gondorian; 11-04-2018 at 10:27 PM. - Round one for Day 1 starts Saturday 15th December 6pm GMT+0. - Day 1 will be 32-player swiss decklock, over 5 rounds of best-of-three, to find Top 8 players. - Day 2 will be 8-player single-elimination decklock with best-of-five per round. - For each region (Americas, Europe/Africa, Asia/Australasia), there will be a Swiss-style tournament (i.e. each player plays in every round). - You can only take part in ONE regional qualifier. - You must use one unchanged deck throughout the whole regional ("Decklock"). Deck checks will be done based on server logs to ensure this has been adhered to. - Maximum of 128 players per regional. Sign up ahead of time to avoid disappointment! - Sign-ups are not yet open! - Sign-ups close Thursday 29th November at 10pm GMT+0. - The top 4 ranking players at the end of each regional will earn a spot in the Grand Finals. - It costs 500 Shadow Crystals to take part in one of these Swiss-style regional qualifiers. The 500SC will be taken from your account automatically when you sign-up and no more will be taken after that. - All games to be played on latest version (currently 3.63). Suppose all that is left is to finalize times for regionals. Gondorian, what time will be on 30th november? We are currently working on the times for each day. There should be an updated WC thread posted sometime this weekend with all relevant information. Of course, it will be stickied for easy accessibility.